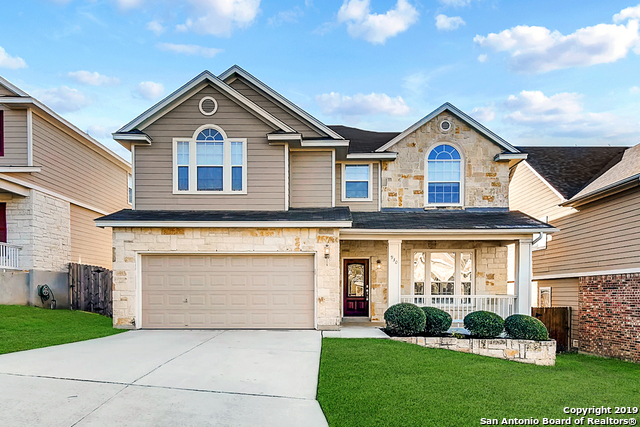 All PANTHER CREEK AT STONE OA homes currently listed for sale in San Antonio as of 04/25/2019 are shown below. You can change the search criteria at any time by pressing the 'Change Search' button below. "Nestled in the heart of coveted stone oak, this 3 bed 2.1 bath home provides ample space for daily living in its well-appointed 2 stories. A combination of traditional style with modern day conveniences. Wood grain vinyl floors in central family living space complete with stone fireplace. Island kitchen has a brand new backsplash. Full interior repaint, new carpet in all beds & new tile in all baths. The extended wood deck overlooks a generous backyard. Schools & shopping just minutes away."